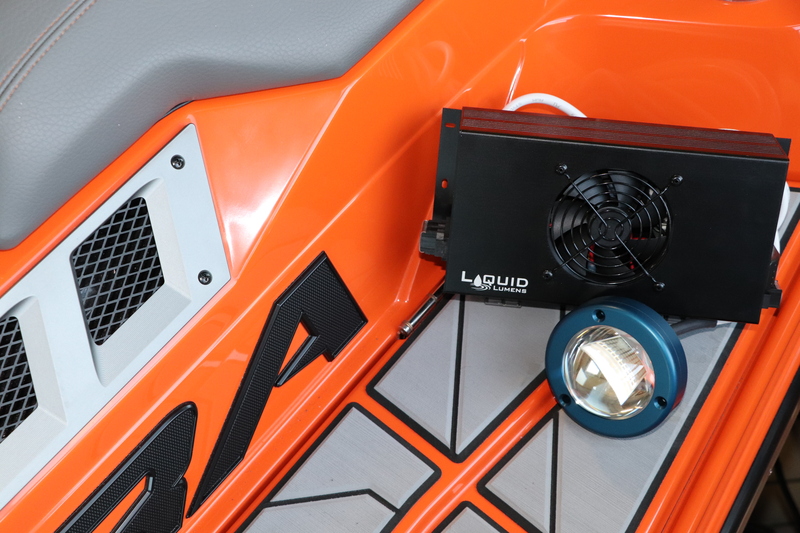 Liquid Lumens, an industry leader in advancing marine LED lighting technology, has announced an exclusive partnership with one of Utah’s oldest marine suppliers, Marine Products, that will offer premium lighting solutions to Utah boaters who want to surf, board, ski, and tube longer! This partnership makes Marine Products the premiere Liquid Lumens authorized dealer for Northern Utah. This includes exclusive re-sale and distribution rights to sell and install Liquid Lumens products on new and used boats in Utah County, Salt Lake County, Summit County, Davis County, Weber County, Tooela County and Wasatch County. Marine Products has been providing cutting-edge products and unparalleled service to the Utah boating market for more than 40 years. 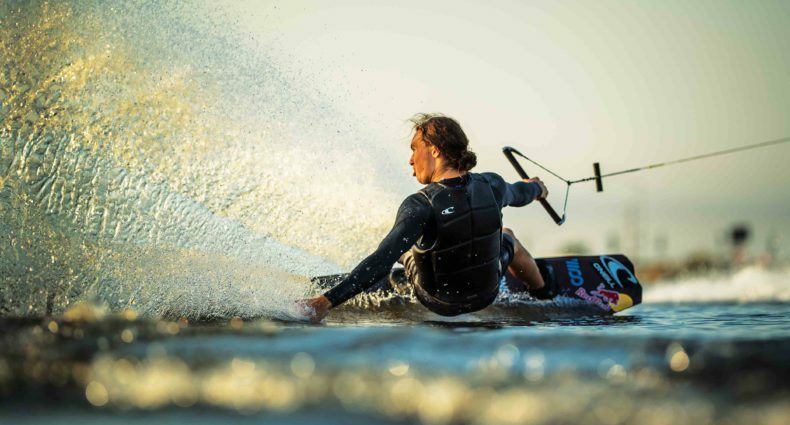 Their continued success is grounded in a legacy that boasts some of the world’s most innovative powerboats, including waterski, wakeboard, wakesurf, and sport-fishing boats — and everything in between. In partnering with Liquid Lumens, both new and used boats of any brand will benefit from the patent-pending, high-powered “Lumen-Boost”™ Technology that makes it possible to enhance your time on the water with friends and family like never before. Come see us at the 2019 Utah Boat Show from February 7-10, or visit our shop at Marine Products 949 W. 1700 S. Salt Lake City, Utah, 84104, to see what we can do to enhance your boating season! When you’re looking for the best marine LED lighting products for your new or used boat, Liquid Lumens will provide unparalleled technology and performance that are sure to impress you. From fishing and surfing to wakeboarding or entertaining, your boating needs will be met by the most powerful, advanced marine lighting technology available today. Picky about colors? No problem! Liquid Lumens has a robust product lineup that comes in multiple colors, and their products even have a full RGBW color spectrum light kit, capable of producing 16 different color combinations, giving you more options to match your boat’s individual style. 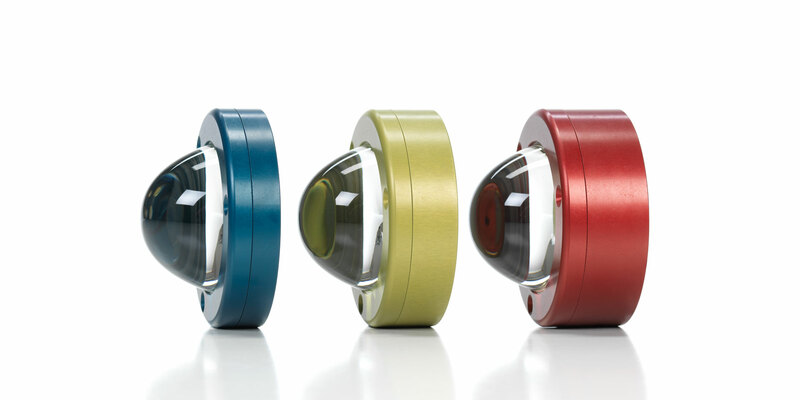 What differentiates Liquid Lumens from the competition? As a pioneer in the marine LED lighting market, Liquid Lumens has developed their own proprietary technology. It begins by taking the best elements of LED lighting and joining them with highly-advanced engineering and manufacturing processes from the aerospace industry. From there, Liquid Lumens applies their 3-step “Lumen-Boost” technology process to achieve a high level of quality and performance in both lumen output and candela rating that, until recently, was simply not possible. The first step in creating the world’s best underwater lights begins with the Power Supply Box. It uses a pair of drivers designed to boost your boat’s standard 12V power supply. This process results in a higher output (either 25V or 34V depending on the LED color). This higher voltage means a more powerful LED can be installed. The next step in creating the world’s best underwater lights is to put the higher voltage created in Step 1 to work. We use more powerful underwater LEDs than the ones that typical 12V systems can support. A more powerful LED means more lumens. And more lumens means more light — a lot more light! The third step of the process involves aiming this more intense source light through a borosilicate glass focusing lens that results in more concentrated, high-output lighting. This light-focusing process increases the amount of light directed to where you want to use it, while simultaneously reducing wasted peripheral light. Where Can I See A Demo of The System? When it comes to lighting, seeing is believing. Liquid Lumens will be joining Marine Products at the 2019 Utah Boat Show from February 7-10! Stop by to see us and check out the Liquid Lumens display. You can learn more about Liquid Lumens by visiting their website at www.liquidlumens.com. Get Your Liquid Lumens at Marine Products in Salt Lake City! Marine Products only partners with the most innovative, technologically-advanced companies in the marine industry. When we got our hands on a set of Liquid Lumens, we were sold. We couldn’t believe how much brighter and clearer the Liquid Lumens system was compared to other lights on the market. The equation is simple: More powerful light = more time on the lake, more time riding, and a better all-around experience. Liquid Lumens’ products are ideal for fishing boats too! Did you know that one or two LED lights in a fixed color of green on the back of the boat not only provide in-water illumination, but they can actually attract fish? 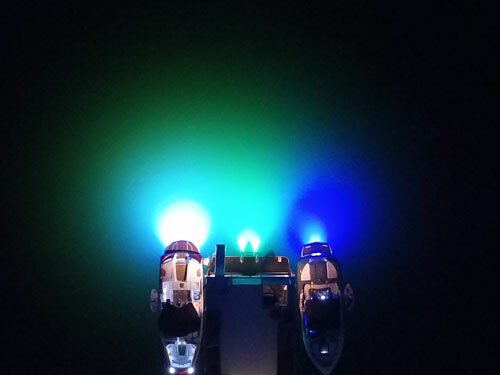 You can also choose Liquid Lumens Top-Side Lights, a dual LED strip light, available in a variety of colors and lengths, to suit your unique boat and needs. This dimmable LED strip can help illuminate fishing lines off the side of the boat, while fishing at night, or in low-light situations. In the future, we will work with Liquid Lumens to create and test LED strips on the front side of the bow for docking, or forward-facing illumination, for the dock, trailering, or beach applications. Where Can I Purchase a Set of Liquid Lumens? Liquid Lumens’ advanced marine lighting will only be available in-store at Marine Products and at www.marine-products.com. The service team at Marine Products is a group of fully-certified Liquid Lumens installers and can have your new lighting installed in no time. You can also purchase a set of Liquid Lumens for your boat at this year’s Utah Boat Show & Watersports Expo! Liquid Lumens will be located inside the Marine Products booth with full lighting demos so you can be sure you’re making the best lighting choices that ensure brighter adventures ahead.